Download Free Google Books in Any format on one Click !!!!! Have you got tired of trying Crap Softwares which pretend to download Books from Google ? So i am here with an awesome tricks by which you can download any Google Book Free and that also in any format Like PDF , JPG , PNG etc . 2.Select a book you want to download. 3.Click on "Preview" to see few pages of the book. 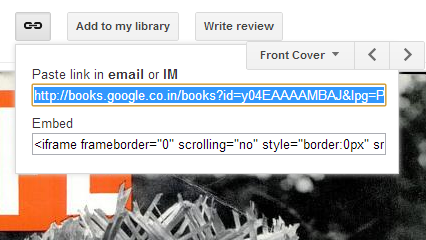 4.Copy the URL of that book and paste it in the Google Books Dowloader. 5.Then select your preferred output format PDF,JPEG,PNG.Set your resolution and your output folder. 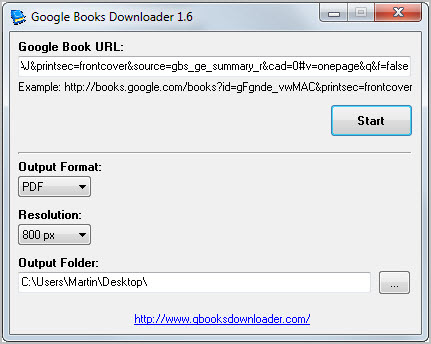 6.Start Converting the Google Ebooks. Note: This trick only works on the books which enables to view the books in "Preview" mode.If the Preview is not available for some book we can't download that Google Book.That's the only drawback of this software.